[Stone Mountain GA] — Friends of Disabled Adults and Children (FODAC) joins the Florida Independent Living Council and the Pass It On Center at the Florida Summit on Assistive Technology (AT) Reuse and Emergency Management on Wednesday, 25 January at the Caribe Royale Orlando Hotel and Convention Center in Orlando, Florida. FODAC president Chris Brand will present on a panel, where he will discuss FODAC’s successful AT reuse program and how it can be used as a template in developing similar programs elsewhere. The Summit is being held in conjunction with the annual Assistive Technology Industry Association Conference in Orlando, 26-28 January 2012 . Representatives will attend from organizations throughout Florida that serve people with disabilities. Lindsey Bean Kampwerth, OTD manager, AT Reuse and Repair, Paraquad Inc.
FODAC helps children, adults and seniors with disabilities regain their mobility, independence and quality of life. The non-profit organization provides more than $9 million annually in refurbished home medical equipment (HME) and home modifications in Georgia and across the United States, all at little or no cost to the recipients. A pioneer in re-use, FODAC keeps 185 tons of materials out of landfills each year by refurbishing and reissuing over 300 HME items every month, and is recognized nationally for best practices. Funding comes from grants, private foundations, corporations and individuals. Mountain, Georgia. 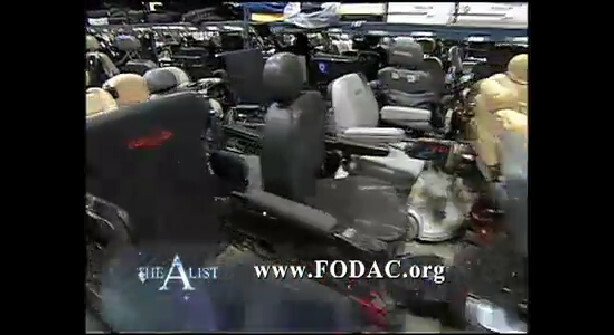 For more information,visit www.fodac.org or call770.491.9014.